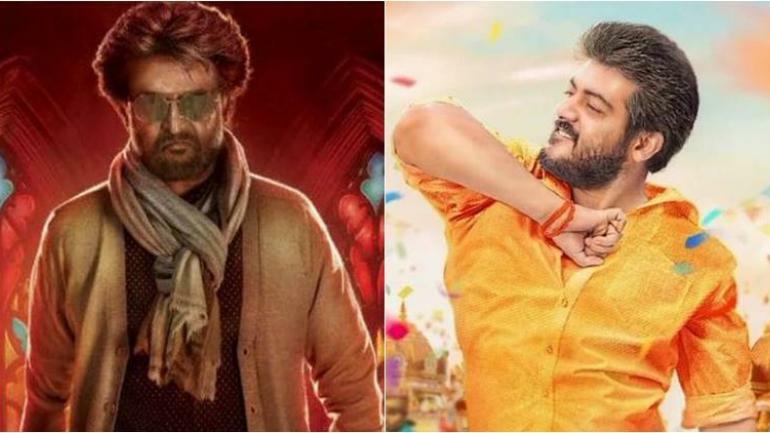 Tamil Cinema has seen the biggest Box Office clash this Pongal saw in a long time as the movies of two of the biggest stars, the longtime undisputed numero uno Rajinikanth’s Petta and the current heart-throb Ajith’s Viswasam released on the same day. Both the movies have been lapped up by the audience and in a big way at that since both the films received positive word of mouth and appealed to different sections of audience, As a result, Tamil Cinema trade has been witnessing the biggest box-office numbers ever in a month and this has made the entire Tamil cinema trade extremely happy. It also broke the myth created recently that films need solo, festival release to score the huge numbers at the Box office. Petta, as was expected, is leading at the worldwide box office by a big margin due to Rajinikanth’s extraordinary reach across all centers and territories both in the domestic and international markets. The film’s opening and run in the core Tamil Nadu market was slightly than Viswasam which is being attributed mainly due to haphazard and rushed release by production house and the fact this is Rajinikanth’s third release in the less than 8 months. Nevertheless it was a very good opening considering the clash. The film is doing extraordinary numbers in the bigger centres and doing well in the smaller centres but lagging behind the other pongal release. The film enjoyed much bigger opening than the Ajith-starrer outside the state and in the overseas. Petta has collected ₹87cr by the end of it’s second weekend (11-days) in Tamil Nadu which is incredible considering the fact that the film didn’t enjoy the best release in most territories in the state. The film’s run at the Kerala boxoffice was just okayish at best. In Karnataka the film is huge business as the film grossed close to ₹17cr in the state. This is an incredible feat, considering the fact that the film had to compete for screens with atleast four other films as there were three telugu biggies, apart from Viswasam, releasing there. Despite, such intense competition, the film has crossed the collection of all other non-Rajini tamil fillms in two weeks proving time and again the huge reach Rajinikanth enjoys in the state. Petta is also huge in all the overseas markets and has grossed $9.7 million by the end of it’s second weekend. The film is expected to cross the $10 million mark by the third weekend which would make Petta the fourth Rajinikanth starrer to cross the coveted $10 million overseas club. Overall, The film has grossed a little over ₹200cr worldwide in two weeks making it the fourth Rajinikanth film to breach the ₹200cr mark, the most by any South Indian film star. Viswasam has opened to bigger numbers in Tamil Nadu than Petta and is still leading in the state by a small margin at the close of two weeks. Though Viswasam is lagging behind Petta in the bigger centres, the film is enjoying incredible run in the smaller centers of Tamil Nadu and the film is already among the Top 2 or 3 grossers in most of the B & C centers in the state. This kind of run in smaller centres is unheard for an Ajith film. The main reason being cited by people in the trade, is that Viswasam is the right kind of rural, masala film for a harvest festival like Pongal and not to mention, Ajith’s massive following among the youth. The Ajith-starrer has grossed ₹94cr by the end of it’s second weekend (11-days) and is expected to breach the coveted ₹100 crore mark in Tamil Nadu by this Friday at the latest, a first for an Ajith starrer. The film is still going strong in it’s third week and is likely to end up among the Top-5 grossers in the state by the end of it’s run. In Kerala, a traditionally weaker zone for Ajith, the film opened to below-par numbers and is likely to end on a poor note. The film has done extremely well in Karnataka and this is significant Considering the fact that it opened alongside a Rajinikanth starrer and few telugu films. The film has also done some good numbers in the core overseas markets like Malaysia, Singapore and Srilanka and was decent in the Middle East and the Europe but was below par in the US. Again, this is a decent performance overall in the in most of the international markets considering the release along side Petta. On the whole Viswasam has grossed ₹140cr worldwide by the end of it’s second weekend (11 days) and is already Ajith’s highest grosser. The film will break the ₹150cr mark this weekend. Overall, this is probably the biggest month in Tamil cinema Box Office history so far, in terms of footfalls and box office numbers and everyone concerned is extremely happy as both films are having a great run at the box office and audience got a chance to enjoy two different films during the festival season.